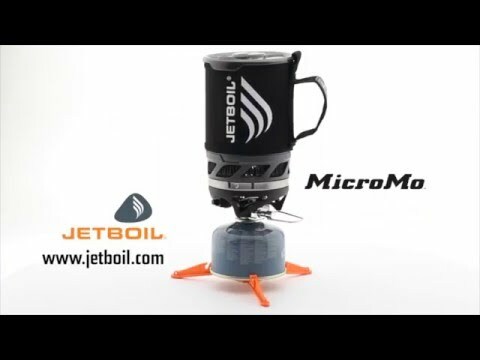 A JetBoil MicroMo with full simmer control, sized for solo trekkers or minimalist duos. Get Jetboil’s trademark super-fast boiling with a subtle simmer control for sautéing wild mushrooms or keeping seconds warm. A redesigned control offers better cold-weather performance, tested to -6°C. Lightweight 0.8 Liter FluxRing® cooking cup. Cover acts as a measuring cup and bowl.